For the past soon 15 year I have followed the economic development in Poland very closely and have visited the country very often. I have come to love the country and the Poles so I rejoice these days as Poland celebrates the 25 year anniversary of Poland’s first (partly) free election on June 4 1989. The democratic revolution opened the floodgates for free market reforms across the former communist countries in Central and Eastern Europe. The main architect of the Polish reforms, which have led to a remarkable economic success over the past 25 years was Leszek Balcerowicz. Balcerowicz is one of my absolut biggest heroes. A great economist and a true reformer. Poles have a lot to thank Leszek Balcerowicz for. 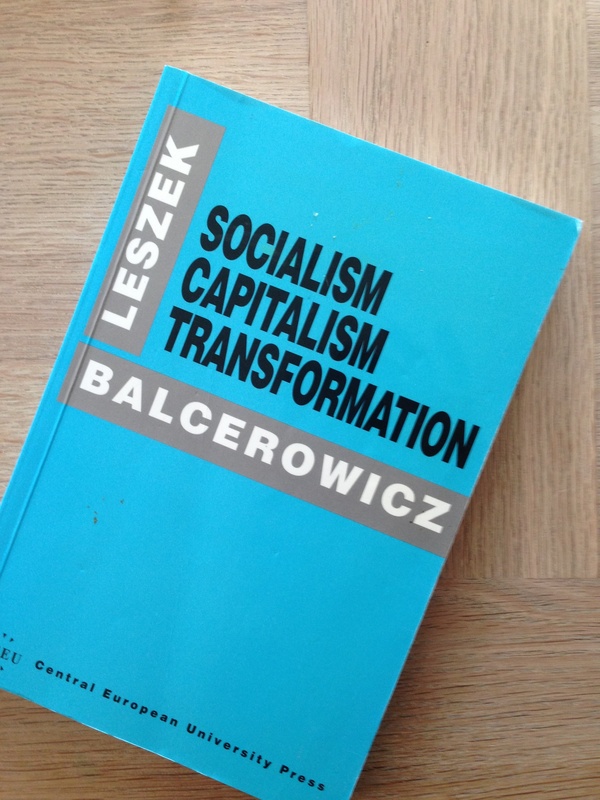 If anybody symbolizes the successful transition from communist dictatorship to free market democracy in Poland it is Leszek Balcerowicz. Balcerowicz has a very good piece on Polish success story on FT.com. How does one explain these and other differences in economic performance after socialism, including the relative success of Poland? First, the quicker and more radical the improvement in the economic system – if sustained – the faster the long-term economic growth. An early “Big Bang”, pioneered by Poland in 1990, and implemented even more radically by Estonia, has proved much better than delayed, slow or inconsistent reforms. For example, Poland introduced the convertibility of the currency as part of a large package of liberalisation and stabilisation measures less than four months from the start of its new government, while in Ukraine it took almost four years. What kind of capitalism emerges is vital. In Poland (and most other CEE countries) the success of private groups does not depend, as a rule, on their political and bureaucratic connections, while in Russia or Ukraine this has been crucial. Politicised or crony capitalism is not only unfair but inefficient, as it stifles economic competition and generates huge rent-seeking activity. Equal treatment is not only a matter of ethics but of efficiency. 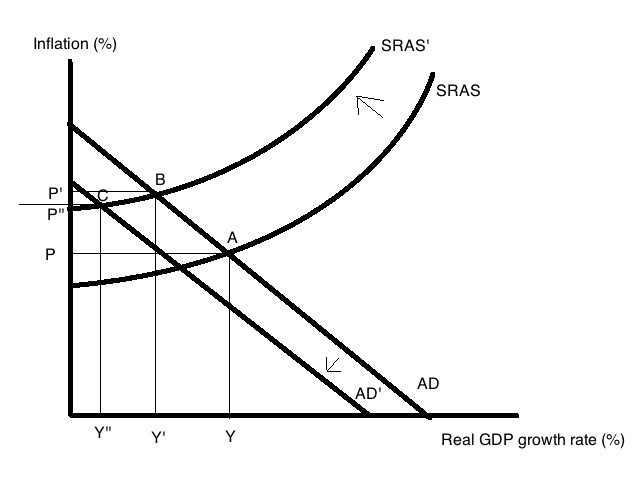 Second, fiscal stance matters for growth. One reason for Hungary’s poor record has been the size of its government, coupled with persistent deficits, occasional fiscal crises and huge public debt. 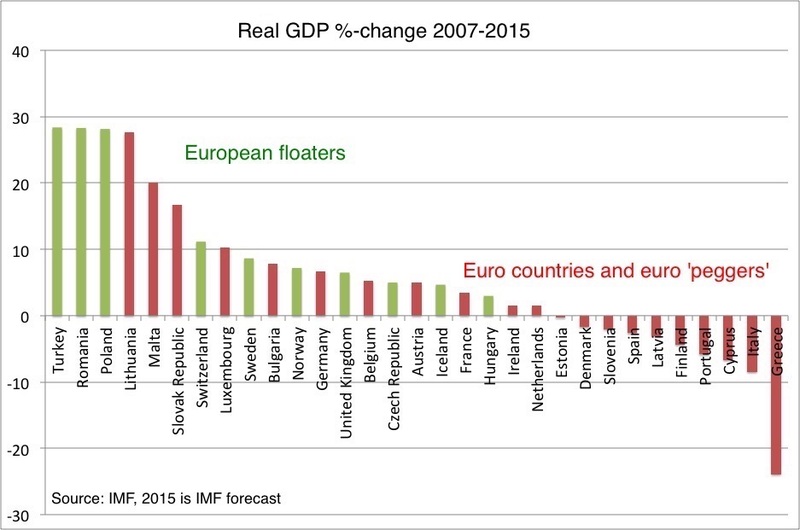 Poland’s fiscal situation has been far from ideal, but not as bad as Hungary’s. Third, longer-term economic growth slows down when countries suffer deep recessions – a result of external shocks, boom-bust policies (Baltics, Bulgaria, Ukraine) or of the misallocation of credit by the dominant state banks (Slovenia). Uniquely among post-socialist economies, Poland had no recession after 1989. A boom-bust pattern was avoided by relatively prudent monetary and supervisory policies while politicised misallocation of credit was avoided due to a surge in bank privatisation during 1998-2000. “Balcerowicz musi odejsc” (“Balcerowicz must go”). This was the all-too-familiar demand made by the populist Polish politician Andrzej Lepper when the outgoing Polish central bank governor Leszek Balcerowicz was Polish Finance Minister in the early 90s. Mr Lepper’s wish is to some extent now finally being fulfilled, as Mr. Balcerowicz steps down today after six successful years as central bank governor. Mr. Balcerowicz has always been a controversial figure in Polish policymaking, but no one can dispute his enormous influence in the past 20 years – first as an economic advisor within the independent labour union Solidarność and participant in the roundtable negotiations that in 1989 led to the end of communist rule in Poland. As the first Finance Minister in post-communist Poland, from September 1989 to August 1991, Mr. Balcerowicz used what he has called a window of opportunity to implement the plan named after him – the Balcerowicz Plan – to transform Poland from an inefficient planned economy to a market economy. The Balcerowicz Plan was the first example of shock therapy being applied in the former communist countries in Central and Eastern Europe, and in our view there is no doubt that the reforms Mr. Balcerowicz engineered are one of the key reasons for Poland’s economic success over the last 18 years. Mr. Balcerowicz later continued the reform effort as Finance Minister once more from October 1997 to June 2000. From December 2000 until today Mr. Balcerowicz has been governor of the Polish central bank (NBP). As NBP governor he has shown himself as a strong anti-inflationist central banker who has fearlessly defended the independence of the NBP from numerous unfortunate political attacks. The best measure of a central banker’s success is undoubtedly is the development in inflation, and here there is no doubt about Mr. Balcerowicz’s achievements. From December 2000 to November 2006, inflation in Poland dropped from 8.5% to 1.4% y/y – clearly something that Mr. Balcerowicz and his colleagues at the NBP can be proud of. Obviously there have also been policy mistakes over the last six years at the NBP. Some would, for example, argue that the NBP took far too long to ease monetary policy and this helped to push the Polish economy into a massive slowdown in 2001-2003. On the other hand, the NBP’s conservative approach to monetary policy during Mr. Balcerowicz’s rule has opened the door to a much more sustainable recovery in the Polish economy than would otherwise have been the case. It, of course, should also be noted that Mr. Balcerowicz’s term as NBP governor was to a minor degree tainted by fairly bad communication policies – that to some extent reflected internal disagreement at times within the NBP’s monetary policy council. We say goodbye and thanks to Mr. Balcerowicz, but we don’t believe the charismatic liberal economist will be silenced and we expect – and hope – that Mr. Balcerowicz will continue to engage in the debate on economic policy in Poland in the coming years. Poland surely needs his input. Luckily Leszek Balcerowicz has not been silenced and he has continued to call for further economic reforms in Poland so the success of the past 25 years can be continued. However, past success can be a poor predictor of performances, and Poland is not immune to this rule. Indeed, without additional reforms, Poland’s economic growth will slow considerably. There are three reasons for this. First, the ageing population would reduce employment and increase the share of older, non-employed people. Second, Poland’s private investment ratio is the lowest in the region, along with that of Hungary. Third, the growth of overall efficiency (as measured by total factor productivity – TFP) which has been a main driver of Poland’s economic success, has slowed considerably in recent years. These negative tendencies could be neutralised by further reforms. For example, Poland could considerably increase employment of younger and older people. The gradual increase in the retirement age to 67 was a step in the right direction. But more has to be done – for example stopping and reversing the rise in the mandatory minimum wage. Private investment could be raised by the elimination of various regulatory or bureaucratic barriers to investment and by increasing the savings ratio. Unfortunately, the de facto confiscation of the mandatory retirement savings enacted in 2013 was a step in the wrong direction. I fully agree with Balcerowicz’s analysis and policy recommendations. Further deep structural reforms are certainly needed in Poland if the success of the past 25 years should be continued. But I am also hopeful that the great Polish people understands this.Congratulation to my beloved Poland with 25 years’ freedom and economic success. —Follow me on Twitter here.